The 2022 FIFA World Cup will be contained within a mere 235 square meters, which is equal to less than half the size of Greater London, covering over 670 square meters, making it the most compact World Cup in the history of the game, according to the Qatar Supreme Committee for Delivery and Legacy (SC). For perspective, the total Tournament Footprint is a little over twice the size of Birmingham and four times the size of Manchester and Liverpool. SC fevealed fascinating stats on the topic using a new bespoke satellite mapping tool that calculates the distances and travel times between the 8 (currently under construction) stadiums set for completion by 2020. At the time of writing, it's only around 5 years until the kick-off anniversary of the Qatar FIFA World Cup, whereby the first game set to be played at Lusail Stadium in Qatar on November 21, 2022. History will be in the making as it's the first time a Middle Eastern country has hosted the event and moreover the Premiership and all other European leagues will be forced to adjust their match schedules to allow for the World Cup to take place during the winter of the Northern Hemisphere. Going back to distances, the longest distance between World Cup stadiums in Qatar will be just 55 kilometers (35 miles), which is equivalent to traveling from Manchester United's Old Trafford to Liverpool's Anfield. As well as the distance between the Al Bayt and AlKhor stadiums, organizers said the shortest distance will be just 4.5 km (3 miles) from the Khalifa International to Qatar Foundation stadium. That is approximately the same as that between Arsenal's Emirates home ground and London rivals Tottenham Hotspur's White Hart Lane. By contrast and to give historical perspective, the longest distance in Brazil between venues was more than 3,140 km, and the shortest almost 340 km, according to official figures. As well as being held in a relatively small country with short distances between venues, there could be as many as 4 games played each day at the beginning of the tournament. This is because the event will take place over 28 days, some 4 fewer days than normal. For expert convenience, every single stadium used during the tournament will be connected by Qatar’s new state-of-the-art Metro (to be launched in 2019), as well as a range of supporting public transport options such as buses and water taxis. For the teams competing, it will also be a huge advantage, as due to the short distances involved, it's only necessary be based at one location for the entire tournament and players will also be in one consistent climate throughout and experience with the absolute minimum of travel between matches. 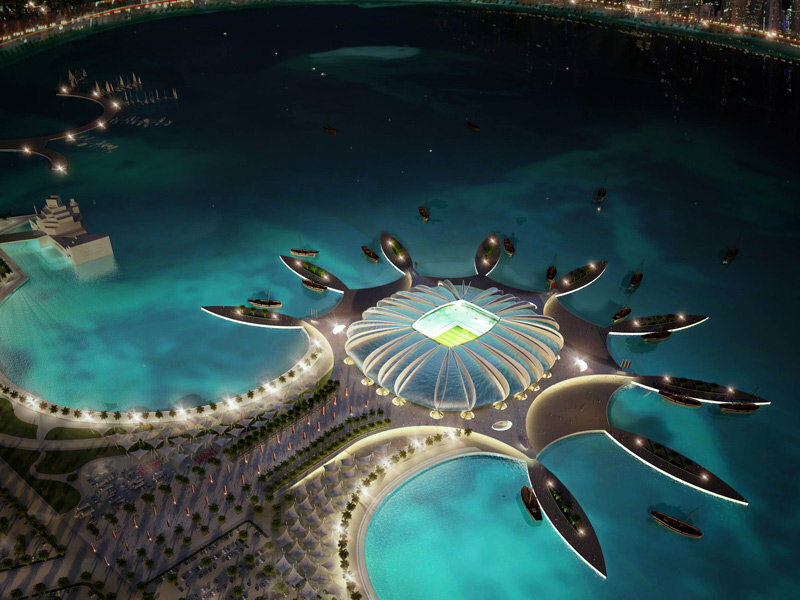 The 2022 World Cup will kick off on November 21 at the still-to-be-built Lusail Stadium, which will also host the final. Sespite much advance international criticism of awarding Qatari with the responsibility of becoming the host nation, there are many advantages to the set up in 2022 and as players will be performing mid-European season, they are likely to be sharper than at the end of a grueling season, which could transpire to a most entertaining set of games.